Meet Newsday's All-Long Island boys swimming team for the 2015-16 season. Long Island Swimmer of the Year: Alex Park, Half Hollow Hills East, Jr.
Park won his second-consecutive 200 IM state championship in a personal-best and All-American-consideration time of 1:51.21 and anchored Hills' 200-free relay championship team at the state meet. He also finished sixth in the 100 free. He posted state-qualifying times in all eight individual races during the season, something Park said was a personal goal before the because he felt it was achievableseason. Successfully defending his 200 IM championship was his biggest goal, he said. After winning the 200 IM -- by .01 seconds -- Park said "I feel humbled and very blessed to be able to do that because it wasn't easy for me. I won by .01. I don't really consider that luck actually. I think that was God pulling me through the water." 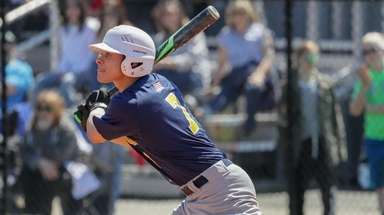 He also led the combined Hills team to its first public schools championship. "My lasting image of Alex is after we captured the state championship and he won the 200 IM for the second consecutive year, instead of celebrating and gloating, he was cleaning up under the benches we sat at for the day," said coach Chris Blumenstetter. "He personifies leadership." Nassau Swimmer of the Year: Ryan Brown, Garden City, Sr. The Cornell commit won the Nassau championship in the 100 breast with an All-American-consideration time of 57.35 and the 500 free in 4:39.22. Brown improved his breast time with a 56.73 in a fifth-place finish in the state meet. 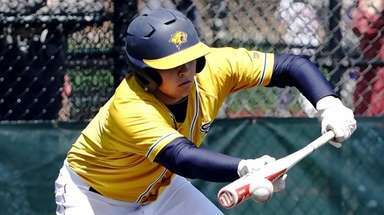 Brown led the Trojans to their fourth straight county championship, picking up the production of his graduated brother Connor Brown, last season's Newsday Swimmer of the Year who is currently swimming for Notre Dame. 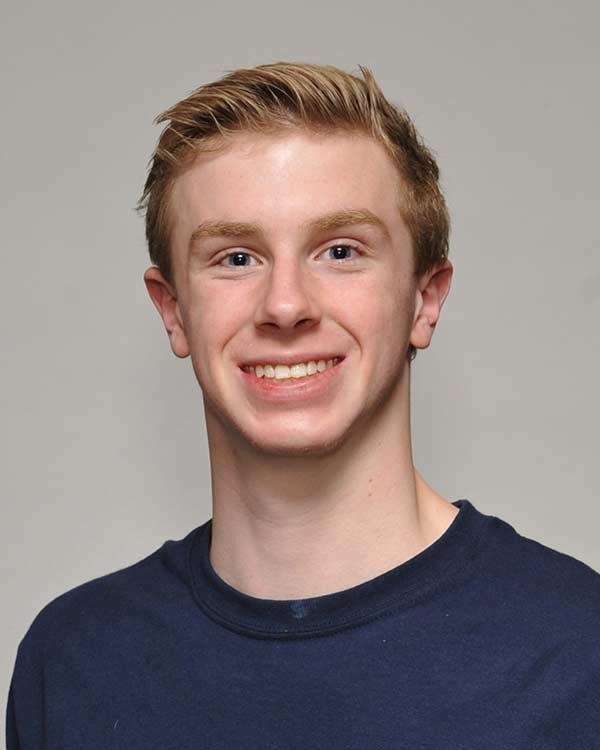 Ryan Brown -- a six-year varsity swimmer -- stepped into the leadership role this season, vocally leading the Trojans throughout the year and during their Nassau championship meet. Sean Cannon, St. Anthony's, Sr.
Patrick Carter, West Islip, Jr.
Carter, who won the state diving championship along with his fourth consecutive Suffolk title, is Long Island's first state diving champion since Long Beach's Chris Griffin in 2003. Christopher O'Shea, Rocky Point, Jr.
O'Shea won the Suffolk 200 free (1:42.60) and 100 back (51.30) at the county championship and finished with the seventh best time in the state in the 200 free and third in 100 backstroke. Chang was a member of St. Anthony's first-place 200 IM relay team, which swam an All-American automatic time and CHSAA record of 1:34.09. Meyers was a member of the Friars' winning 200 IM team and third-place 400 free team in the state championship meet. The Binghamton commit placed seventh in the 200 individual IM. Stange was a member of the Friars' winning 200 IM team and third-place 400 free team in the state championship meet. 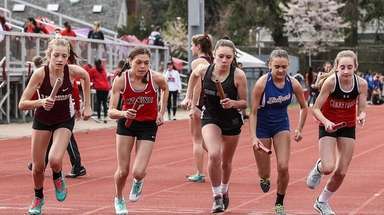 The Villanova commit was a member of St. Anthony's third-place 400 free relay. 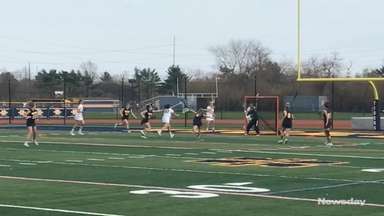 Spring All-Long Island teams revealedNewsday will reveal its All-Long Island teams for the spring high school season via videos Newsday's All-Long Island history databaseMore than 6,000 players and coaches have earned Newsday's top high school honors.